2017 A Year of Challenges, Change and Kelham Island for Campbell's Flowers! Well can you believe it, another year passed and another chance to do my annual round up. This year we have worked on some incredible weddings from chic urban city centre venues to farms and barns out in the sticks, you name it we have done it. The following pics are a selection of the weddings we have worked on this year in amongst the manic move and our award win, both of which I will mention later. So here they are in all their glory and as always we are proud to say that we have still never made the same bouquet twice. We would be nothing without our brides and we are so lucky to get to design for such unique, diverse and stylish couples. Thank you for being you! So as you will have seen from our previous post we are officially up and running right here in the heart of Kelham Island. T and the girls have been working hard to get our Christmas collection all ready for you. It's packed full of festive goodness and we would love nothing more than to see it in your home, filling the place with Christmas cheer. We have pretty much sold out of our outdoor wreaths but have a few indoor wreaths which will last all year round. All the items are listed below with details of how you can reserve or order them at the end. Massive thanks to Maytree Photography for taking the fabulous piccies. Our Fabulous Launch Evening - Here we are! Massive thanks to everyone that came to see us over the weekend as we opened our studio doors for the first time. Since then we have had a lovely flow of people popping in to check out our space and place orders which is so lovely. Kelham Island had welcomed us with open arms! Next week I will be posting all of our Christmas Collection, what's available and how to get hold of it so keep an eye out for that one! Again a huge thanks to all our followers and fans and a big shout out to Danni from Maytree Photography for not only coming out to show her support but for taking some pretty awesome photos too. 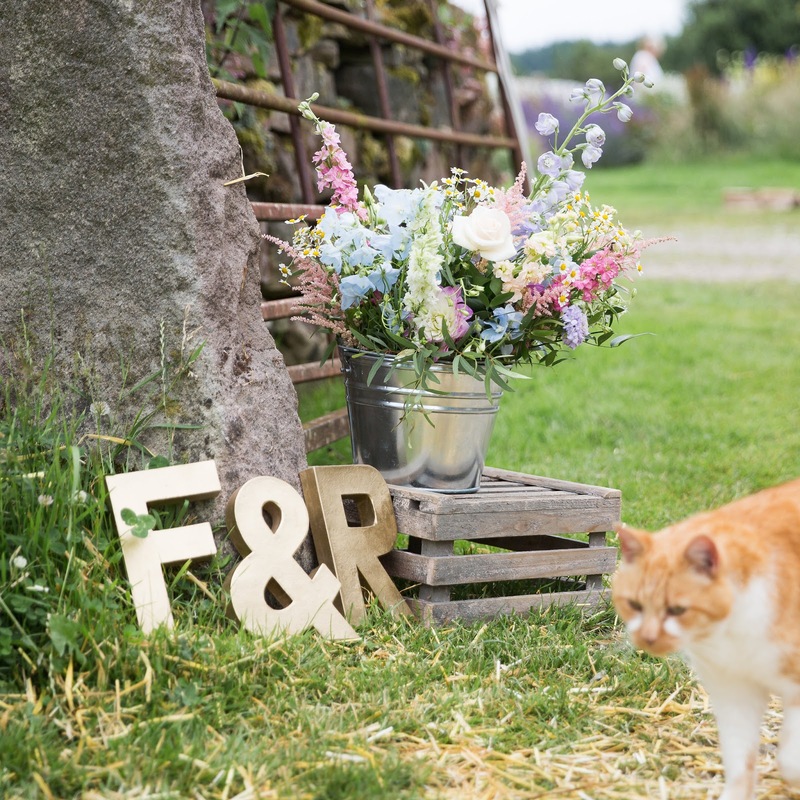 Jen and Stephen's Dronfield Hall Barn Wedding - Friends, florals and rustic vibes. Don't get us wrong, google has it's place and has brought us plenty of business but it is always great to meet our brides through word of mouth. Our couples often find us through having done a friends or sisters wedding but we got introduced to Jen and Stephen by Jackie who is a regular attendee of our workshops which was really great as we have known her for ages, so it was really great to be a part of her son's big day last June at Dronfield Hall Barn. The colour pallet was creams and blushes with a romantic, soft and pretty feel throughout all the designs. For her bouquet Jen wanted the shape to be quite elongated so it pointed downwards when she held it. The flowers included were peonies, lisianthus, astrantia roma, waxflower, lavender, spray roses, carnations, rosemary and eucalyptus. The bridesmaids had similar flowers but in more of a posy style with the super cute flower girl sporting a dainty waxflower crown complete with her very own wand. 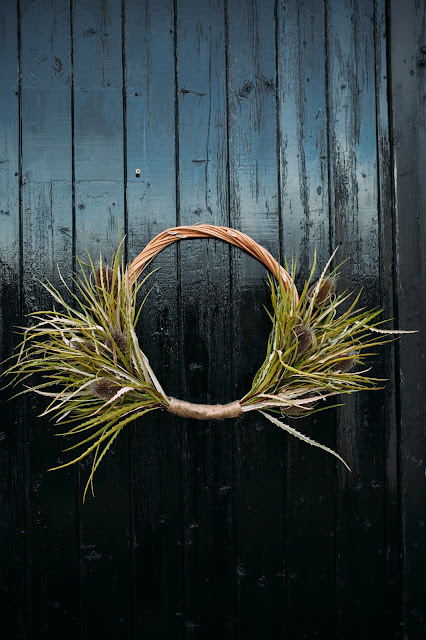 Buttonholes were kept to a rustic sprig style. 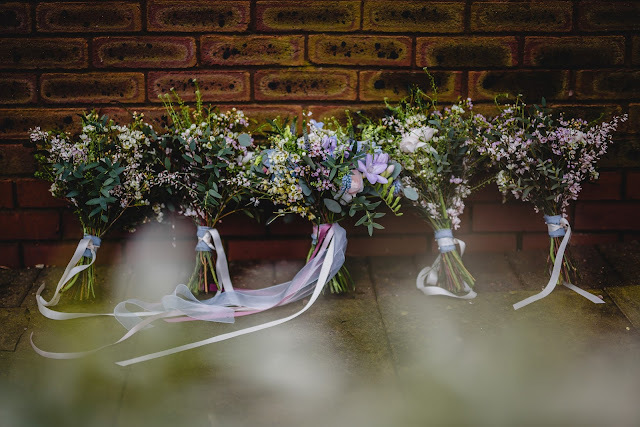 The venue was made complete with a really stunning flower curtain which you will see was lovingly put up by Izzy and T. They are so cool to do and look incredible. Massive thanks to Eve Photography for the gorgeous pics, we love them. 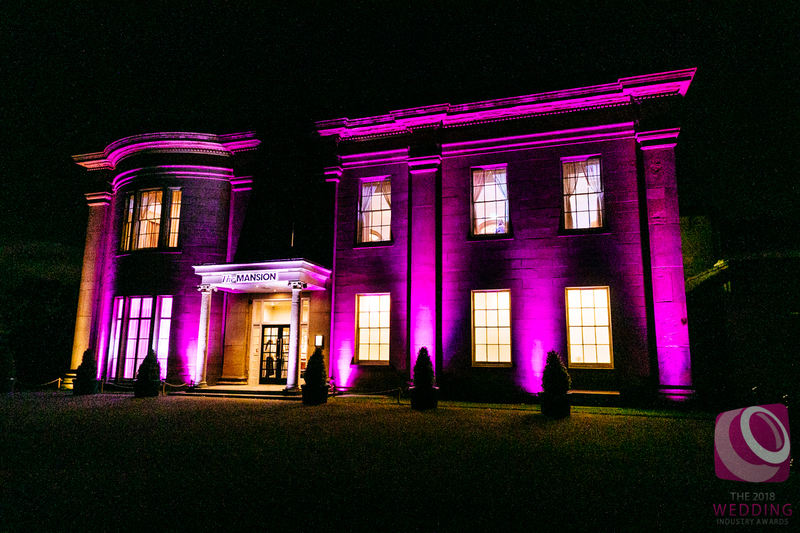 So the events of November the 6th are finally sinking in and here we sit thinking back to what was an amazing experience at The Wedding Industry Awards 2018. We were sent the official photographs just recently and it was such a pleasure looking through them and reliving what proved to be an incredible evening that passed far too quickly. We really wanted to share our experience with all you guys, after all it was you that got us to where we are now so writing this this blog will hopefully give you an insight into how the evening went and also show you first hand how humbled and grateful we are for your continued support. We say the evening went quickly, however, that was more the case after we had found out that we had won. The hour beforehand seems to last for about 3! 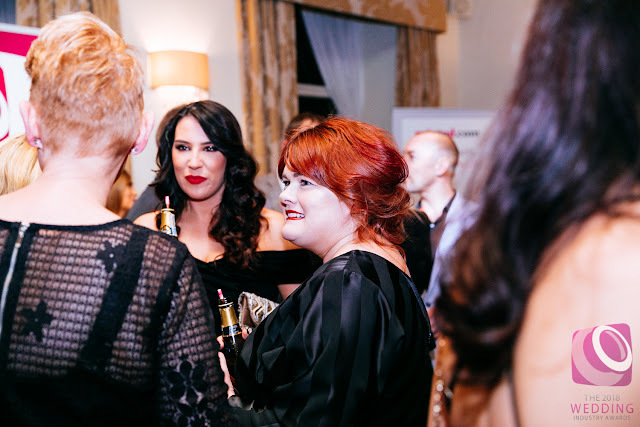 As we waited patiently sipping on our Prosecco it was great to catch up with our buddies Jenn Edwards Wedding Hair and Make Up Team who went on to scoop not one but two awards, go girls! So when it was time to go and take our seats for the main event our tummies were in bits and again we sat there for what seemed a lifetime until we heard "And now it's time to announce best florist in the region". To be honest, none of us can really remember what was said after that we were just waiting to hear a name and I can't tell you how elated we were to hear the magical words "And the winner is CAMPBELL'S FLOWERS!". We couldn't get out of our seats fast enough it was just the best feeling in the world. After that the night just flew by as we celebrated with Prosecco and of course a few pints of lager! A massive shout out to Dine for the stunning food (the prawns were to die for); The Mansion, Leeds for putting on such a good do and last but by no means least Funtime Frankies for providing the perfect soundtrack to dance the night away. Enjoy the pics and here are links to our official video and highlights of the night and again thank you so much to all our couples that took the time to vote for us you really have blown us away we are so grateful to you guys. Ciara and Ricky's Big Thank You! 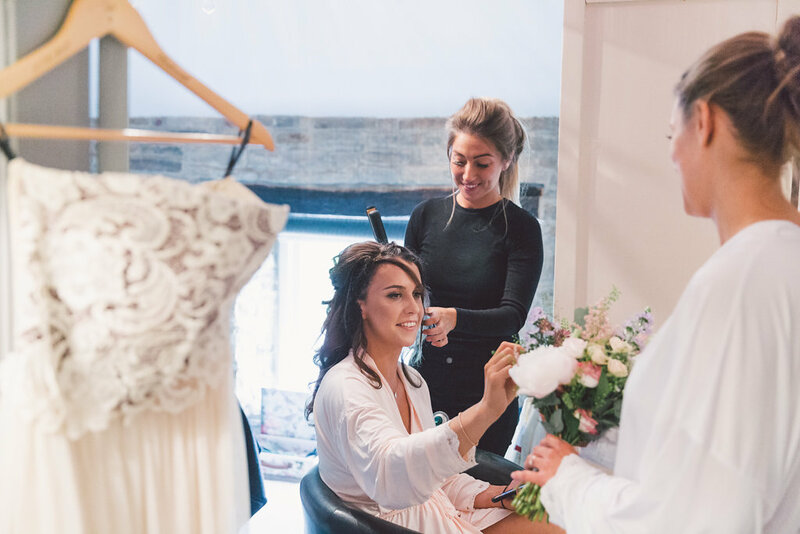 Feedback from our brides is a wonderful thing and with us entering the TWIA again this year it gave us the perfect opportunity to catch up with some of our past brides which was so lovely. Completely unexpected but very welcome was this lovely feedback e-mail that we got from Ciara and Ricky, one of our lovely couples from July this year. We just wanted to get in touch and say thank you from the bottom of our hearts for providing the most beautiful flowers I've ever seen for our wedding! Tracey and her team mede me feel at ease for the very first phone call. I was planning my Sheffield wedding whilst living in London so a lot of our correspondence was over the phone and e-mail. From a few chats and Pinterest swapping sessions they absolutely nailed exactly what was in my head - then made it 10 times better! 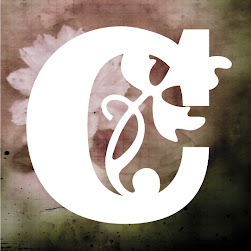 I couldn't recommend Campbell's enough; they really care about you and your wedding and you feel that from every interaction (If you girls every get stressed then you certainly do a great job of hiding it!!). You're all so calm, lovely and fun and an absolute joy to work with. In a world of boring wedding flowers - Campbell's offer a creative alternative that goes above and beyond to reflect your personality into your day. And that is exactly why we do what we do! 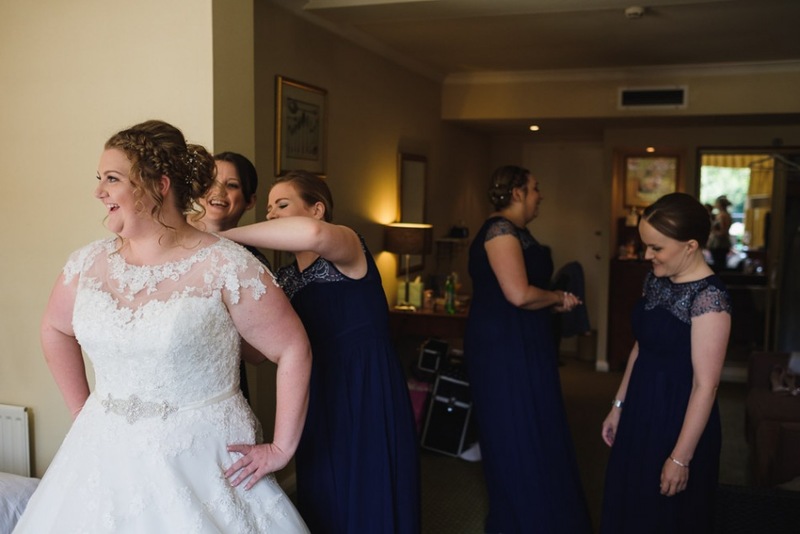 Lorelle and Ben were married in April this year in an awesome Sheffield city centre ceremony at the Millennium Galleries followed by a reception at Trafalgar Warehouse. 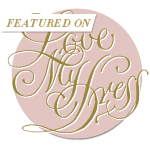 These guys have already appeared on Love My Dress blog but we couldn't resist popping them up on our blog too as the couple and the flowers were just to die for! Tuscany has a special place in Lorelle and Ben's hearts so therefore played a massive part in their day from the food (supplied by Silversmiths) to of course the flowers. For her bouquet Lorelle wanted something very wild with lots of texture, for the design T and Lorelle chose red amaranthus (one of Lorelle's favourite flowers), olive foliage (in keeping with the Tuscan vibe), eucalyptus nicholii, two tone wax flower, berries, white/cream lisianthus, green bell and broom. Lorelle also had a gorgeous hair comb which when T designed looked huge but sat so amazingly in the brides stunning hair. The hair comb included flowers and foliage from Lorelle's bouquet so they complemented each other brilliantly. For the buttonholes T used a sprig of olive and eucalyptus binding it together with twine. Foliage is definitely a popular choice for buttonholes this year, especially given Pantone's colour of the year, and they look great. 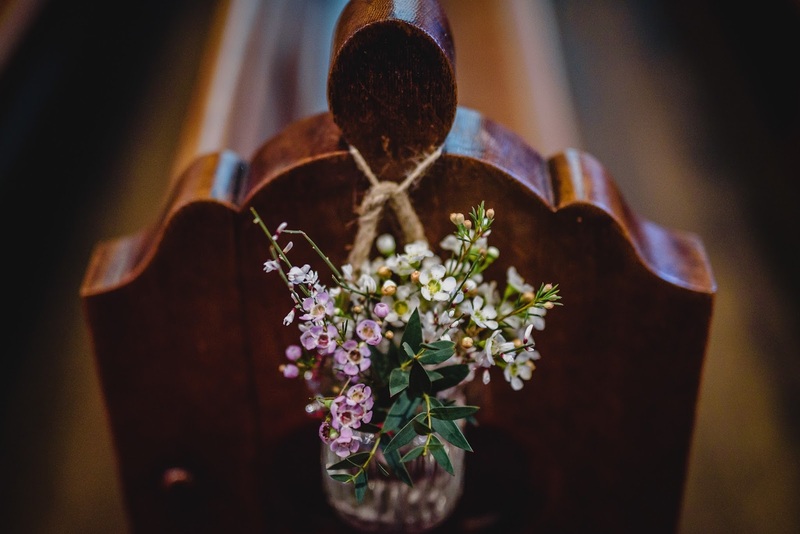 The bridesmaids bouquets were a elegant design of broom, wax flower and a little foliage which matched the chair ends in the Millennium Galleries. 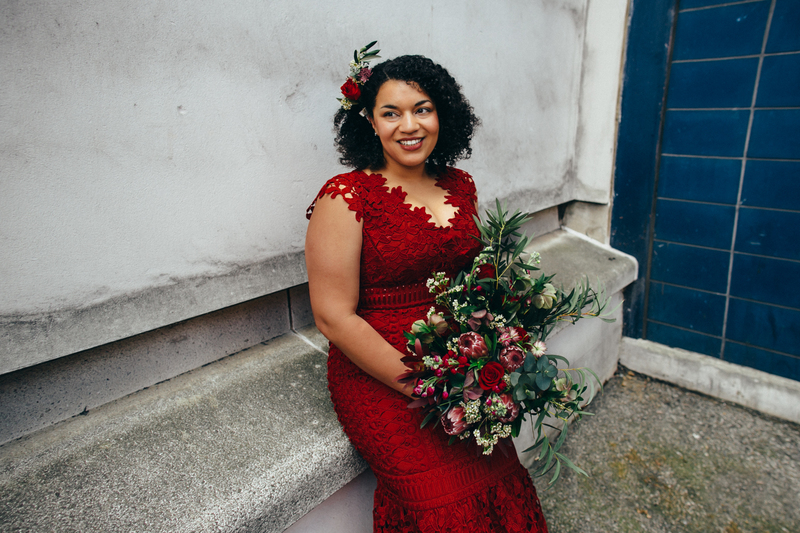 Massive thanks to Inner City Weddings and Events for introducing us to such a great couple and of course big thank you to Fiona Oliver Photography for the amazing images. Scroll down and enjoy! Charlie and Andrew's Cressbrook Hall Wedding - Stunningly simple with heaps of scent. Charlie and Andrew got married this April at Cressbrook Hall in the ever stunning Peak District, how lucky we are to live and work so close to such amazing surroundings. Charlie and Andrew were a super relaxed couple and had a really cool attitude to their day. Charlie isn't really a fan of things matching too much so T really did have free reign on the floral designs however Charlie was really keen on having a bouquet with an incredible scent so the flowers and foliage chosen were a selection of spring flowers (seasonality is always important! ), scented white narcissus, lily of the valley, freesia, tulips and ranunculus. Bridesmaids were more of a posy style design with similar flowers to the bride. The buttonholes were just the cutest, a small selection of narcissus with a little dash of foliage. Massive thanks to J S Coates Wedding Photography for the great images. Scroll down and enjoy! 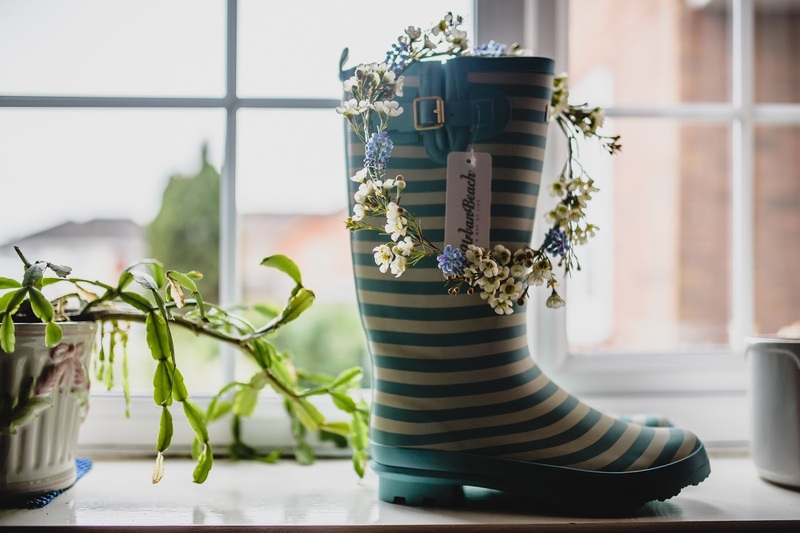 Jo and Ben's Whirlow Hall Farm Wedding - natural vibes, milk churns and dirty dancing! 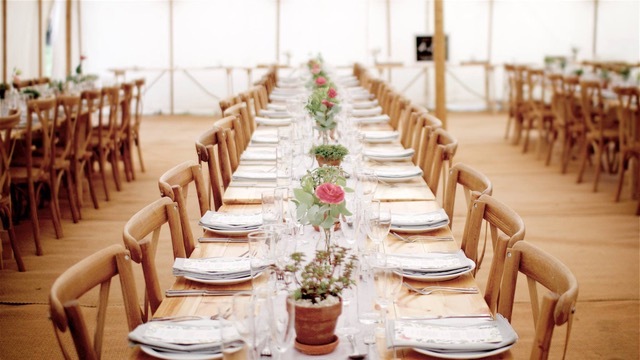 We cannot begin to tell you how many outdoor wedding we are getting asked to do now and by no means are we complaining! 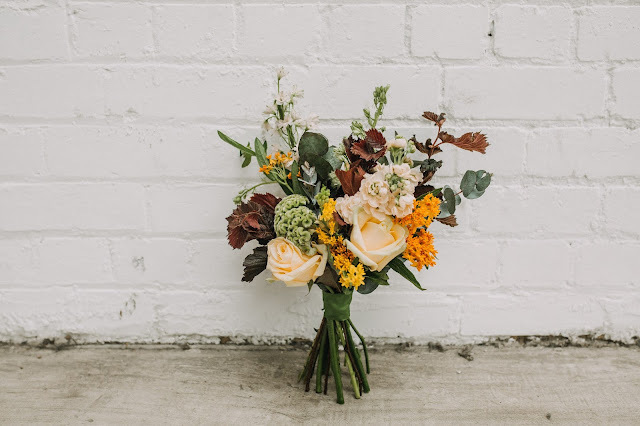 The whole vibe of these days suits us down to the ground with huge displays of 'just picked' flowers and awesome bouquets, that's not to say we aren't partial to the odd warehouse urban wedding mind you. Jo and Ben got married at Whirlow Hall Farm with a stunning outdoor ceremony performed by none other than Reverend Kate Bottley otherwise known as the Vicar from Gogglebox. Jo and Ben wanted a very natural look for their wedding flowers with a very natural vibe and neutral colour pallet. In keeping with the farm feel they even opted for milk churns packed full of blooms to decorate the barn. 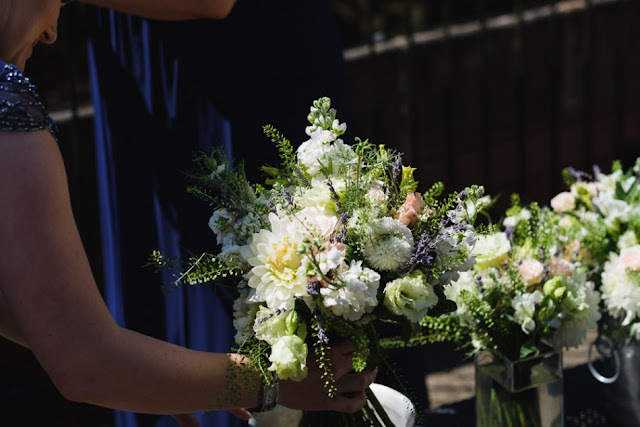 Jo's bouquet contained white dahlia, sweet avalanche roses, jana spray roses, astilbe, white lisianthus, apricot lisianthus, white wax flower, dried lavender, green bell and eucalyptus. The bridesmaids had a similar design to the bride just slightly smaller. Buttonholes were kept to a sprig style design. Also check out Nan at the end, I just couldn't not include the pics of her in our blog, not flower related at all, but what a legend. 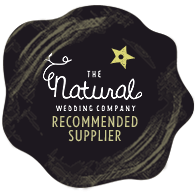 Massive thanks to Joy from Unique Wedding Planning and Events for introducing us to such a lovely couple, always great to collaborate. And also a huge thank you to James Stewart Photography for letting us have access to such brilliant pics. Enjoy! Can't quite believe another month has passed, we have worked on some awesome weddings and as always have loved being part of your special days. I have put together a selection of stunning August designs to provide floral inspiration you but also we like to have a look through, think back and enjoy all that we have achieved and the wonderful people we got to work with. This month we had a real eclectic mix of colours and shapes to our bouquets. 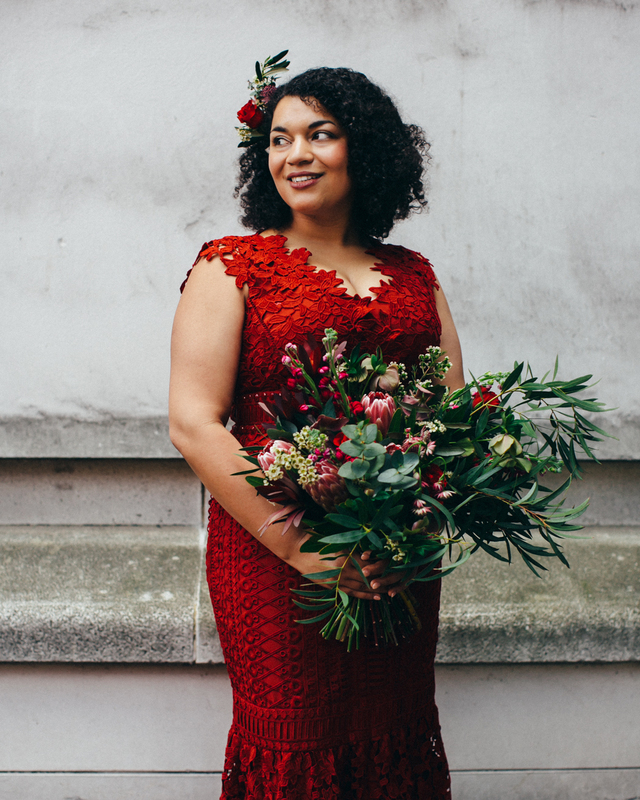 Last month was all about the asymmetric bouquet but this month we just can't call it. This just goes to emphasis just how unique you all are with your ideas. Frances and Rob got married July this year at Sycamore Farm Barns in Matlock. The couple wanted a very relaxed, DIY feel to the day and the venue, set up and styling did just that. Frances and Rob got married on the Friday and had an outdoor ceremony on the Saturday which is something that is proving very popular with our couples. 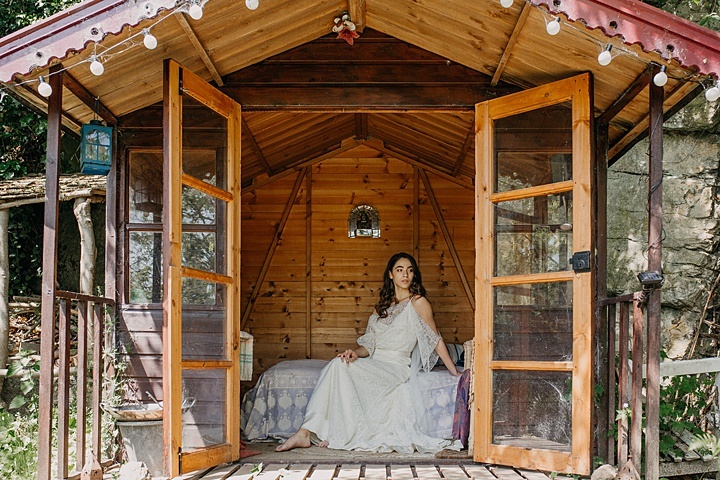 This lovely idea allows you to have the "wedding day" that you really want in a location of your choice. For her bouquet Frances wanted a very meadowy 'just picked' vibe, with plenty of texture. The flowers chosen were campanula, astrantia, wax flowers, thistles, green bell, aster, tanacetum, stocks, delphinium and lavender. The bridesmaids had a posy of just wax flowers with dainty flower crowns to match. Buttonholes were kept to a sprig design. 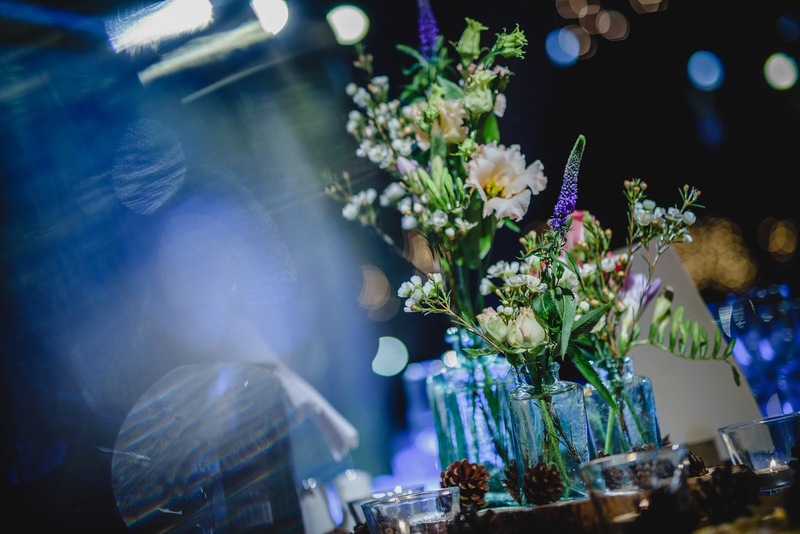 Venue flowers were key with jars, buckets, vases, watering cans, floral chandeliers and milk churns packed full of blooms with a long and low design thrown in for good measure! "We would like to say a huge heartfelt thank you for all your hard work in preparing the flowers for our wedding. We had so many compliments for our guests on your gorgeous arrangements. You captured our vision perfectly and we couldn't have asked for more." Thanks once again, and we wouldn't hesitate to recommend you. Massive thanks to Sam Reed Photography for letting us have these really stunning images! Scroll down and enjoy! So we have been patiently waiting to blog this one for so many reasons. This shoot was the brain child of Ellie Grace Photography and there really is only Ellie that can come up with something so amazingly nuts but so beautiful too! We were so chuffed to be part of this one as not only did it feature some absolutely incredible designs from many of our fellow creative friends at Light Space Collective there were also cameos from Lily whippet and my girl Violet. All the designs had a wild and lose structure which really added to the fun surroundings. So sit back, scroll down and prepare yourself for a cuteness overload on so many levels. So for this week's blog I thought I would put together our July highlights. 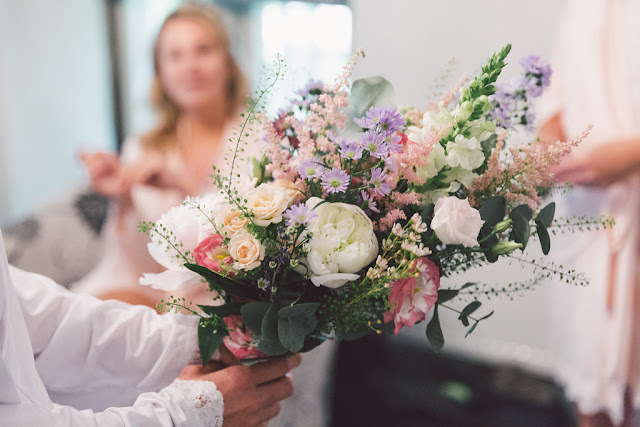 We were so busy last month designing for so many glorious weddings I wanted to put something together that would include many of them and offer you ideas and inspiration for your big day, however, if you are already married you can still enjoy all the floral pretty and maybe relive some of your memories! 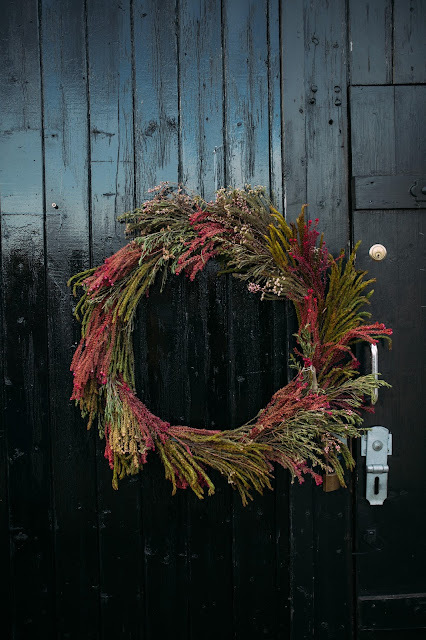 This blog will give you a good idea of what is in season this time of year and how unique every wedding always is and can be. Bouquets. 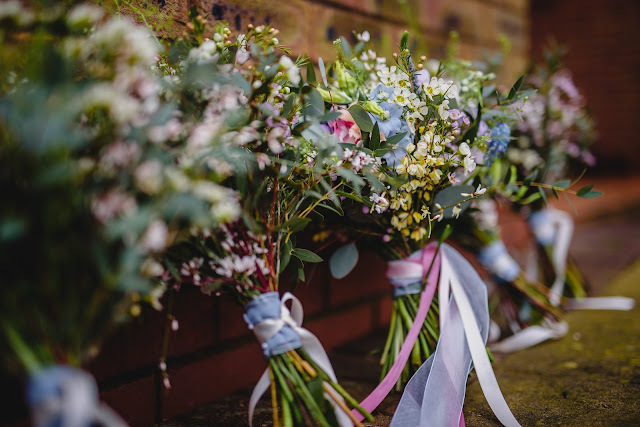 Whilst classic posy style designs are still a popular choice with brides for bridesmaids, brides are often opting for a larger, more asymmetric look which is T's forte and we just can't get enough of them. The lovely thing about these designs is they lend themselves well to either being completely wild but can be reigned in a little to create a more compact and structured look. 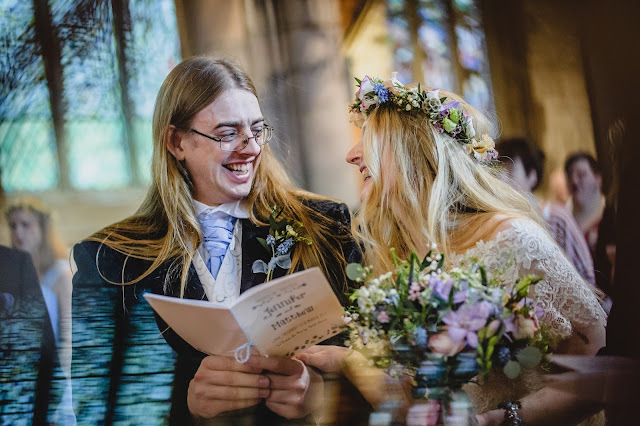 Hannah and Peter's Peak District National Park, DIY Marquee Wedding with a Special Connection. 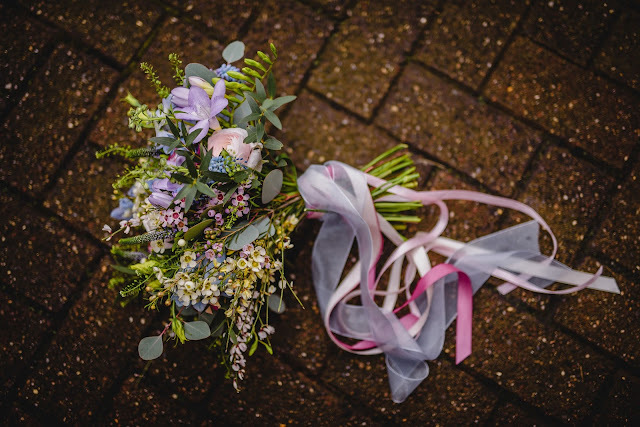 "Ive just had two minutes to sit down and I wanted to send you a message to thank you so much for the beautiful bouquet and flowers you provided for our wedding last Saturday. The bouquet was absolutely stunning, the colours were perfect and the design really added to the relaxed, happy feel we wanted for the day. I had so much fun saying to people 'look there's rosemary, and look look, rub that leaf, that's mint!' So many people commented on how beautiful it was and said it looked like I had just gathered it from the surrounding fields (which I took as the highest compliment - I explained that it had taken very talented people to make it look like that!). I also had a very enjoyable conversation when one of my mum's friends asked whether I was going to throw my bouquet. 'Throw it?? Have you seen it??!' Needless to say it did not get thrown and is still looking lovely on our bedroom window sill. The lisianhtus worked perfectly for our guest flowers. People loved having them to hold - it really made them feel part of the occasion - and they looked very pretty placed in the vases with the greenery in the marquee. 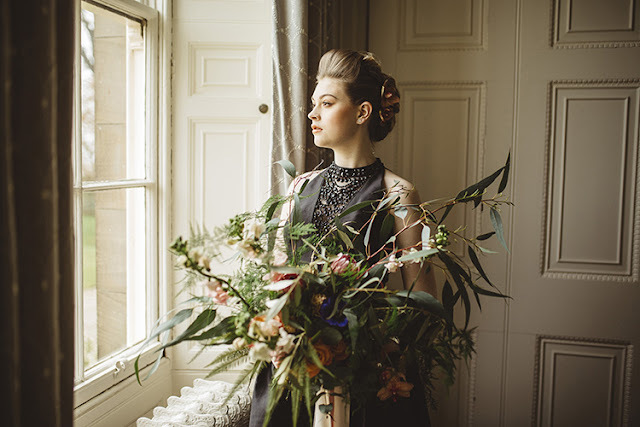 Similarly the hair combs and buttonholes lasted beautifully and complimented the look and feel of the day." 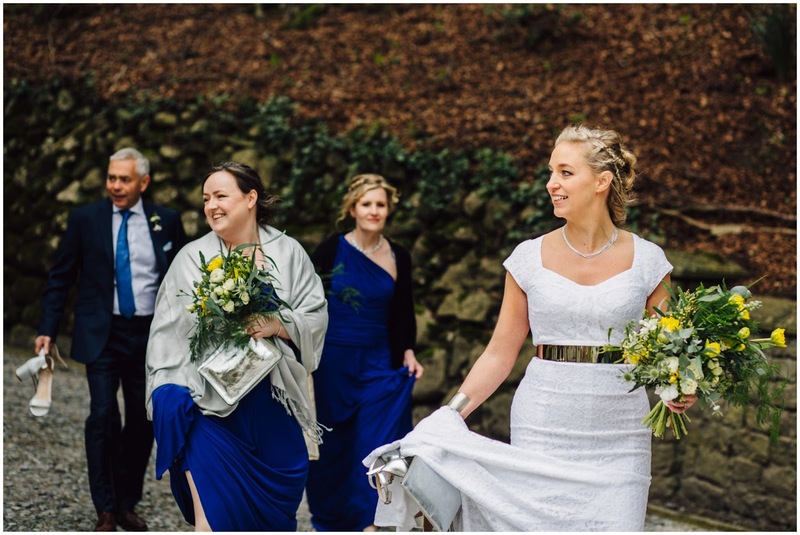 Hannah included some pics in her e-mail taken by guests which I have included below plus a piccie of her gorgeous bouquet taken by us! Hannah looks gorgeous and so so happy!!! So we have been waiting for this stunning shoot to appear on Whimsical Wedding Wonderland so we can pop it up on our blog and share these awesome pics with you then over the weekend our wish came true and here they are! This shoot was the brain child of our very own Queen T who took inspiration from some of her favourite artists, The Dutch Masters with colour pallets that you would find in the oil paintings of Rembrant, Vermeer and Co. As you will see from the photographs Shelley Richmond captured the opulent feel beautifully and the gorgeously grand Saltmarshe Hall provided the perfect backdrop. For the florals we opted for roses and other large blooms like Protea, and mixed up textures combining the likes of whispy, barely there ferns with seasonal anemone to create more drama. To make the most of the stunning staircase we crafted a unique sculptural, waterfall installation using verdant foliage, textured broom and gorgeous tulips for a pretty colour pop. If you are looking for wedding inspiration we can definitely recommend a statement floral piece to really make your day unique to you. 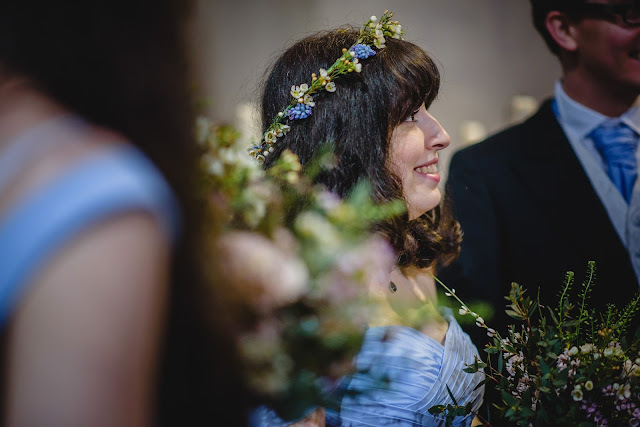 The free - flowing feel was also carried through to an asymmetric bouquet, and we also created a very full and romantic flower crown to complete the look. 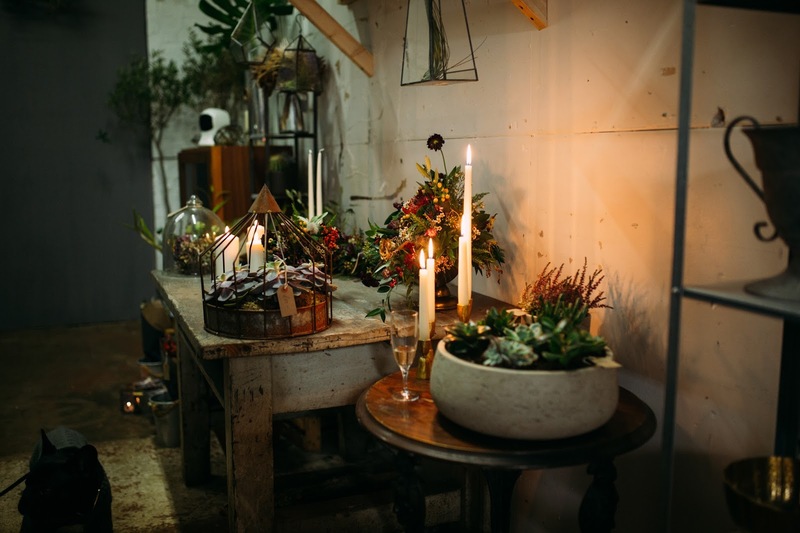 Concept, styling and flowers - Us! Now just scroll down and enjoy! 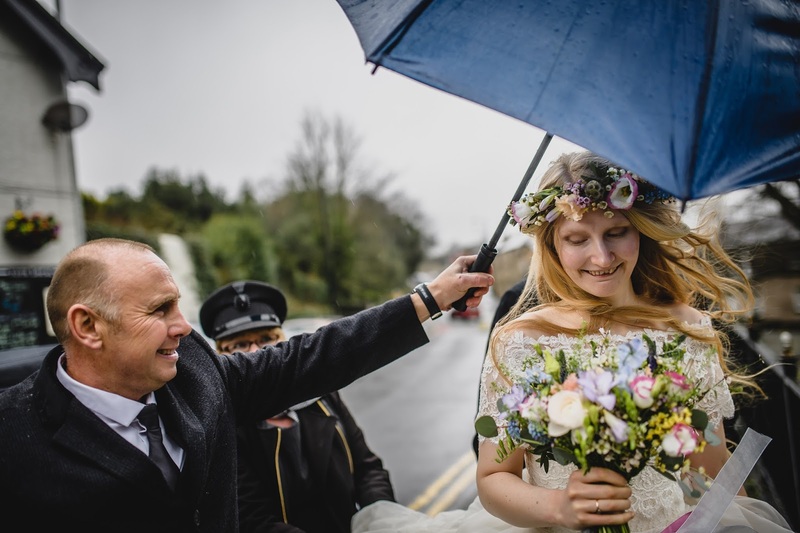 Lottie and Paul's Cornish Wedding - Meadowy vibes and a man in uniform. We love working with all our brides but it is always so lovely when you get to design florals for someone you know! Lottie and Paul are very good friends of T's, so much so that she was asked to also be a witness at the wedding, and have become good friends of mine too. Looking through all these photographs was such a joy and so hard to just pick a select few for our blog. The couple wanted a super relaxed feel to the day with a small ceremony at the rather grand and stunningly beautiful Port Eliot, St Germans in Cornwall inside the Orangery with all the guests going back to the holiday house which they rented for a meal prepared by their very own chef! The day started with bacon sarnies all round which if you ask me should be compulsory on the morning of a wedding. 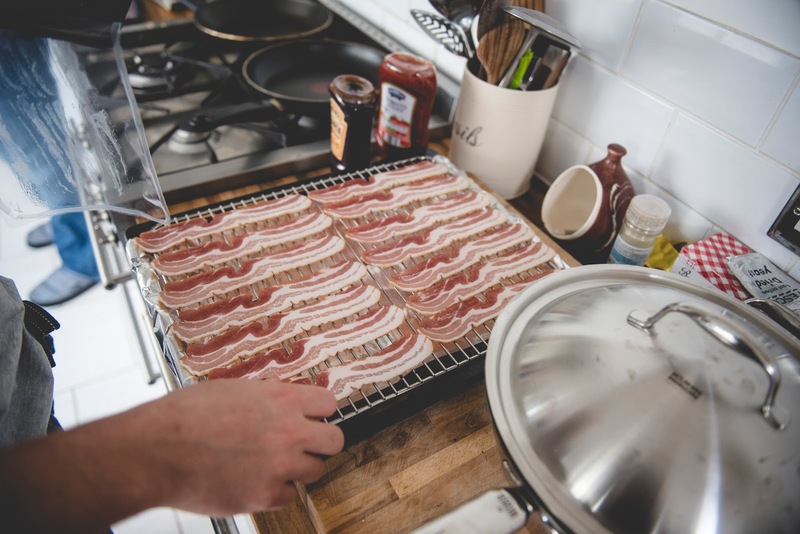 I just had to start the blog with the bacon pictures, it just looks so good! Paul is a Marine so wore his full dress uniform for the day with Lottie opting for a little less traditional sage green dress which suited her skin tone beautifully. Lottie had her dress specially made as she is expecting her first baby any day now, exciting! In terms of florals Lottie wanted quite a wild asymmetric design with plenty of texture finished of with ribbon trails. The flowers chosen were freesia, scented narcissus, broom, lisianthus and plenty of eucalyptus and tanacetum. Our bride has gorgeous long auburn hair and wanted a flower crown to compliment her lovely locks, so the design was kept really wild with some absolutely stunning large blooms in there. 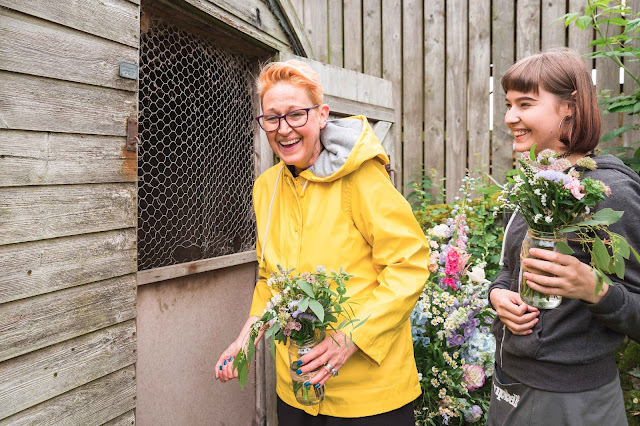 Lottie only had one bridesmaid, her sister Jess, who had a hand tied posy with flowers and foliage similar to the bride but on a smaller scale. 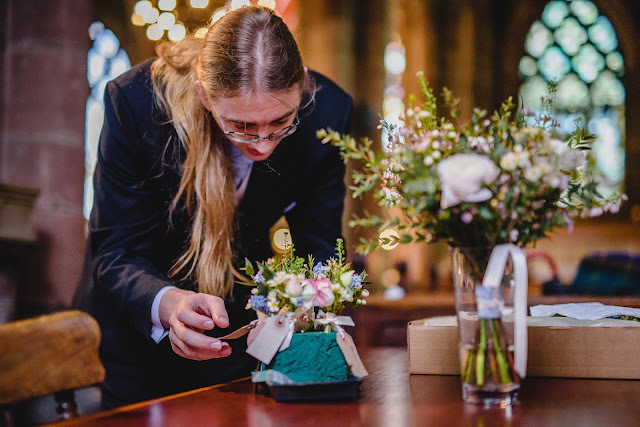 Paul had a sprig style buttonhole which sat nicely just above his medals. 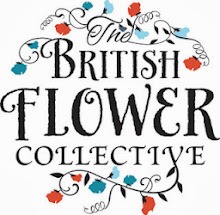 So as you will all be aware from our Facebook page and other social media we have just celebrated British Flower's Week and what better way to celebrate than to do a stunning shoot featuring all British grown flowers with some awesome suppliers in a secret location. 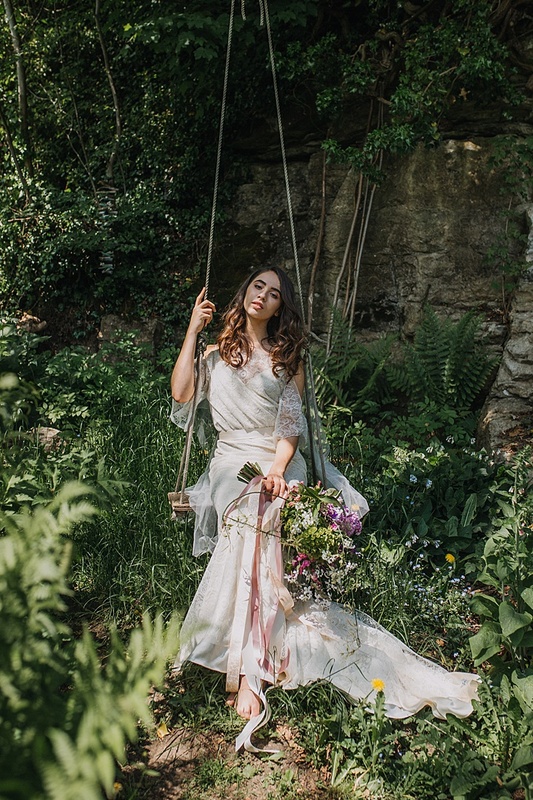 These photographs originally featured on Boho Wedding Blog but here it is again in all glory just in case you missed and also just because it's such a beautiful shoot and we love it. British flowers are a subject quite close to our hearts here at Campbell's and wherever possible we use locally grown British blooms in our designs. For this photoshoot we really wanted to showcase these local hero's and show people why locally grown really is the best. 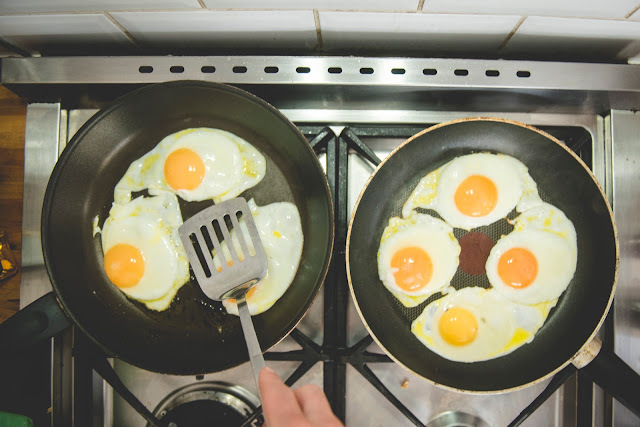 Seasonality is key when picking British as they look better, last longer and smell amazing! Here are a selection of the stunning pictures taken on the sunniest day in May, hand picked for your pleasure. I suggest you pour and ice cold lemonade, sit back and enjoy! 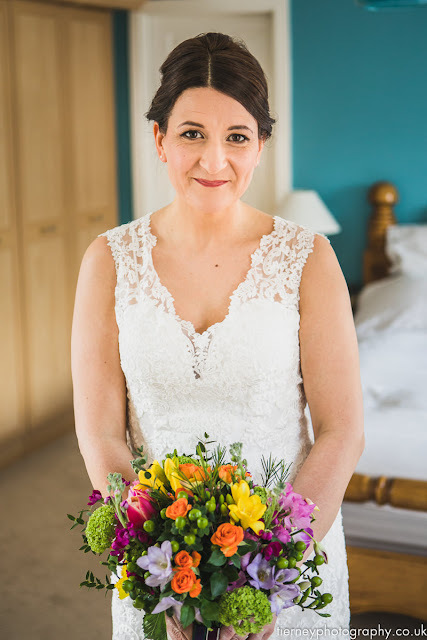 This year saw quite a few Spring weddings which was great for us as the florals are so bright and stunning at this time of year and Kirsten and Matthew's florals were no exception. 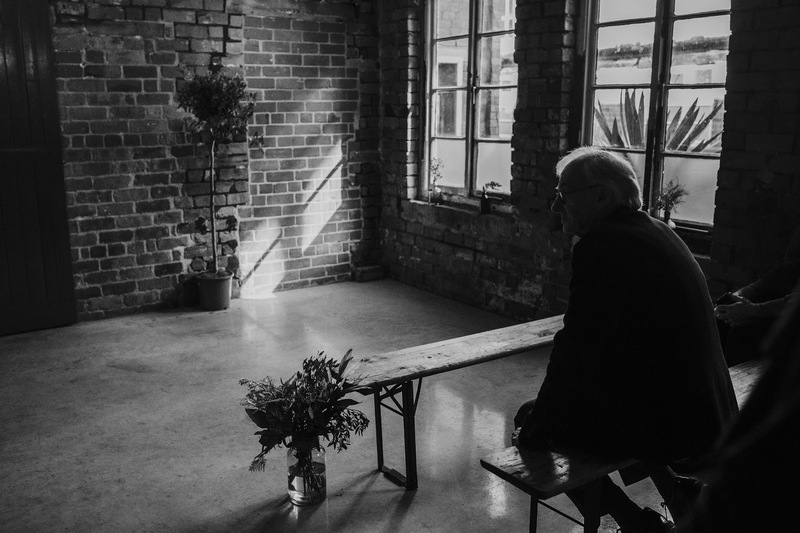 Kirsten and Matthew got married at Kelham Island which is a favourite of ours when talking venues steeped in Sheffield history. The couple wanted a very relaxed and informal day with no particular theme. 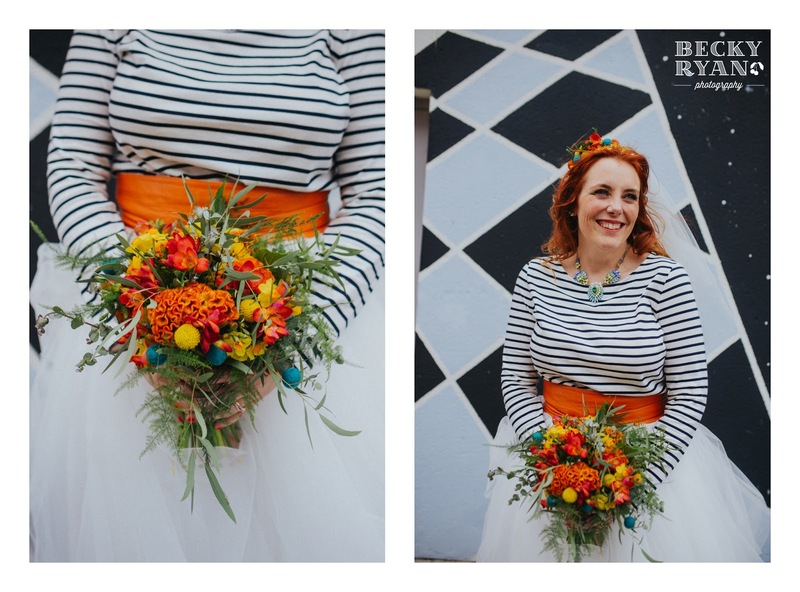 The brief we were given for colour was cheerful and bright and as always T delivered with her vivd floral designs. Kirsten wanted a posy style bouquet with a just picked feel, the flowers chosen were double tulips, ranunculus, late scented daffodils, narcissus, muscari, lilac freesia, antique carnations and roses. What made Kirsten's bouquet extra special was the addition of her Dad's medals to the binding. We cannot stress enough how happy we are include special and unique touches to your flowers, it really is the little things that matter. Kirsten had one bridesmaid who carried a smaller version of her bouquet and a flower girl who carried a wand and also had some super cute flowers in her hair. 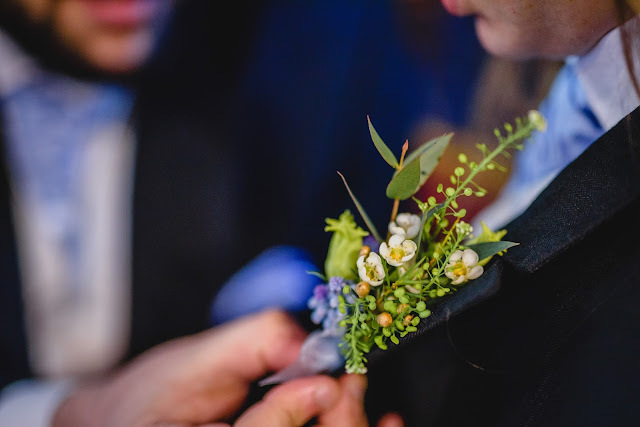 Buttonholes were a sprig style design and packed full of the super bright flowers. Venue flowers included a mix of jugs and jars with a fun floral design on the front of a bike as you entered the venue. Massive thanks to Tierney Photography for letting us have these stunning images, scroll down and enjoy! 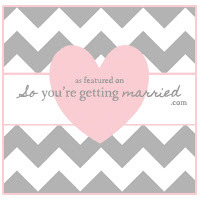 Today I am bringing you a real wedding from March this year. Jen and Matt got married at St Thomas Parish Church in Leicester with the reception being held at Rivington Hall Barn. They were such an awesome couple to work with, spending most of the consultation leading up the wedding laughing away at each other! 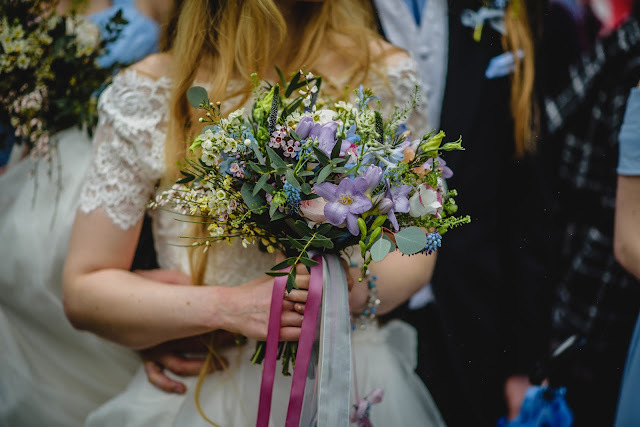 The couple wanted a super relaxed day with the flowers looking like they had just been plucked from a spring garden. Jen is a massive fan of jewel colours which T mixed with pretty pastels. For her bouquet Jen wanted a very pretty, natural, just picked design with plenty of texture mixing small and large blooms. The flowers used were french tulips, peony tulips, ranunculus, veronica, freesia, wax flower and blue muscari. Jen had gorgeous ribbon trails which gave it that pretty festival style. 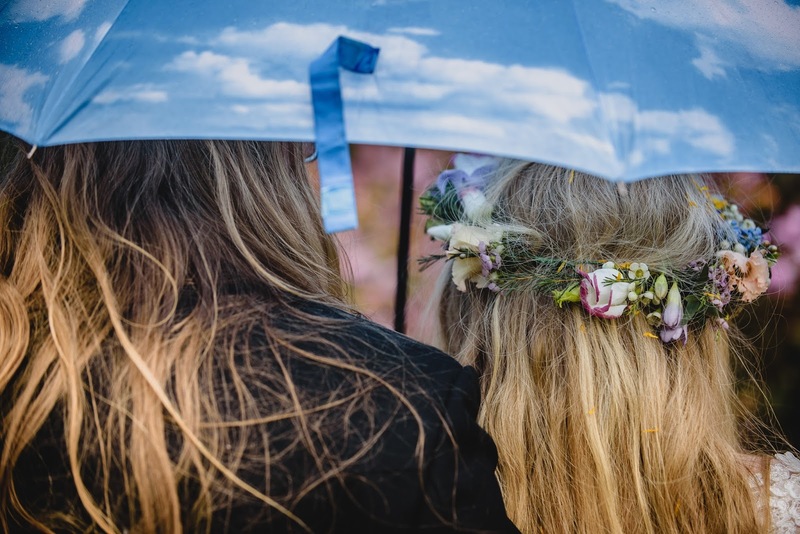 Flower crowns were very much a feature of the wedding with the bride and bridesmaids all wearing them with Jen having a larger designs and the bridesmaids having a simple wax flower and muscari design. Bridesmaid bouquets were a similar yet slightly smaller than the brides bouquet but still featured super cute trails of ivory ribbon. Buttonholes were kept rustic with a sprig style and ribbon finish. Again venue flowers were kept nice and springy with plenty of country garden flowers and colours to suit the theme. Massive thanks to Pixies in the Cellar for the gorgeous images. 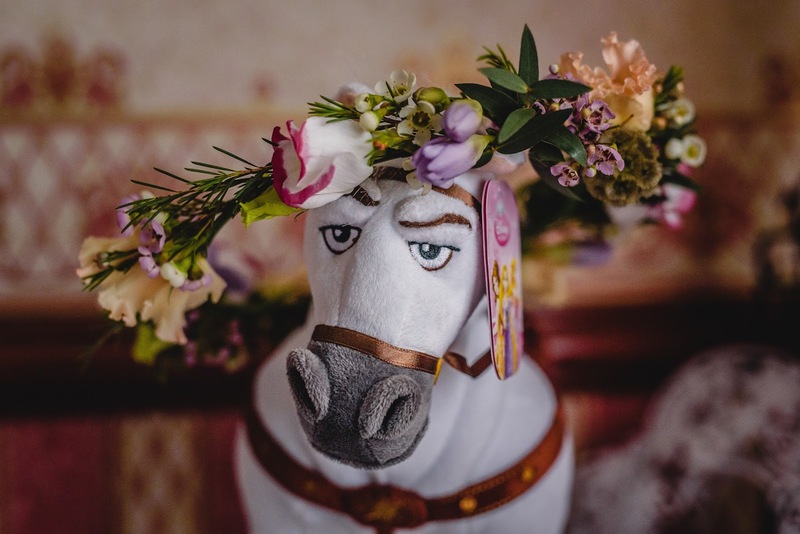 Nothing left to say just scroll down and enjoy, oh and watch out for the appearance of Maximus sporting some gorgeous flowers! 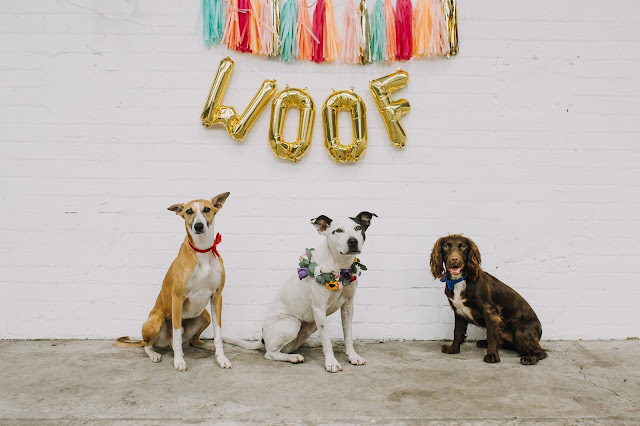 I am so excited to be blogging this super cool inner city wedding from March this year, we don't usually get the professional photographs so fast but we are lucky enough to work only a couple of desks away from Ellie Grace Photography in our little studio and she was more than happy to send them across. This was a real Light Space Sheffield affair as we got introduced to the gorgeous couple by Flick from Inner City Weddings who planned the couple's wonderful day. The couple got married at 99 Mary Street with the reception being held at Trafalgar Warehouse. 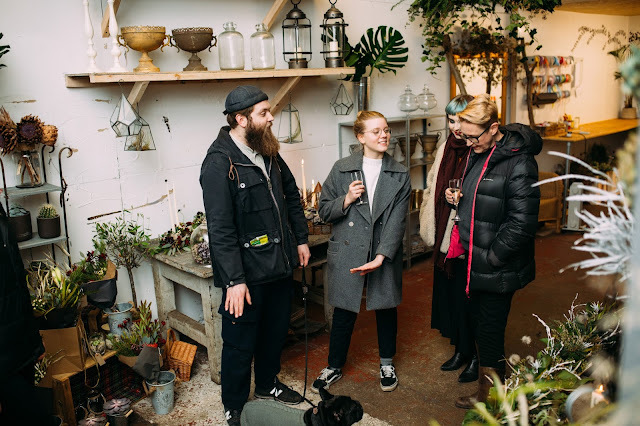 Even though it was an urban setting Kate and Russell were very keen on bringing the outside in with plenty of plants, flowers and foliage. 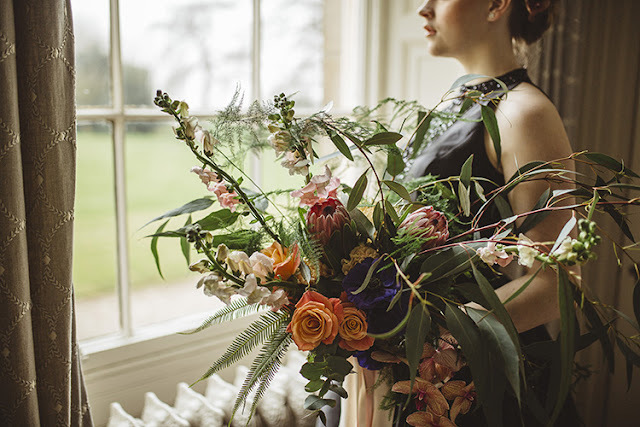 When it came to Kate's bouquet, texture was very much at the forefront of our minds with a very wild and asymmetric design - a key trend this year. Flowers and foliage chosen were lisianthus, wax flower, broom, ferns, ivy, asparagus fern, green bell, eucalyptus and other seasonal blooms. Kate's flower crown was kept delicate using just wax flower. Bridesmaids had more of a hand tied posy design using lots of foliage with a little broom (one of my faves, smells amazing) and wax flower. The flowers crowns were a fuller design than Kate's but again using lots of leaves and foliage interspersed with lisianthus. Buttonholes were a simple sprig design featuring rosemary and lisianthus. 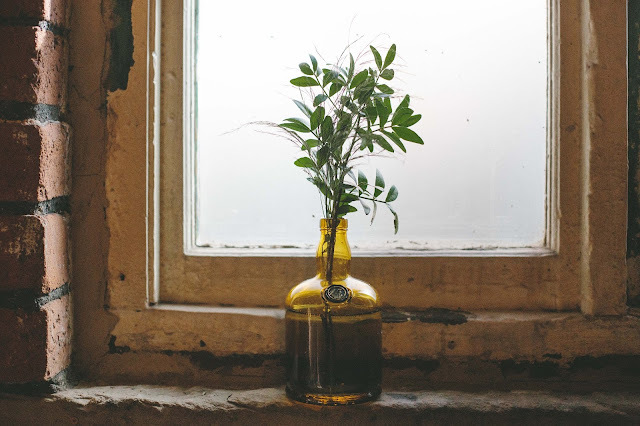 Venue decorations were again rich with foliage using bottles supplied by Inner City Weddings to house our little sprigs of loveliness. We hung large leaves from the ceiling at the ceremony venue and had olive trees dotted about too. It just looked incredible. Another massive thanks so Ellie Grace Photography for the amazing picces and Inner City Weddings for making us part of their team. Just scroll down and enjoy!